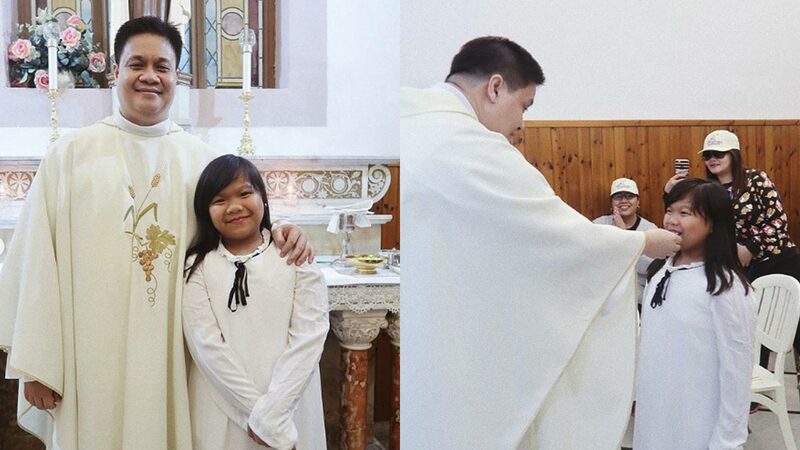 Ryzza Mae Dizon shares photos from her first Holy Communion at Stella Maris Monastery in Haifa, Israel. 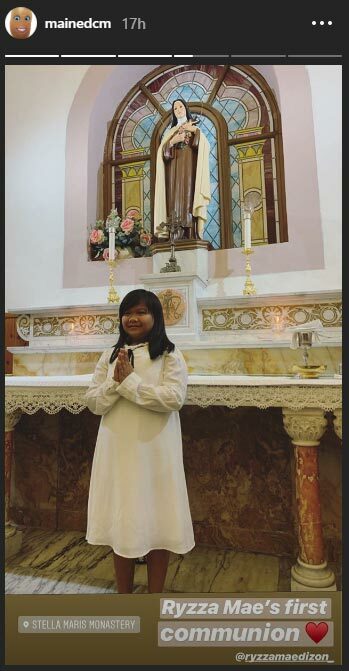 Ryzza Mae Dizon, 13, just received the sacrament of Holy Communion. And what better way to receive the Holy Eucharist than by having it at the Stella Maris Monastery in Haifa, Israel? According to its official website, the Stella Maris Monastery was built in the 19th century, on "the slope of Mount Carmel, on the east side of the main road... with a splendid view of the Mediterranean Sea." Ryzza Mae and her fellow Eat Bulaga! regulars are currently in Israel for their annual vacation trip. 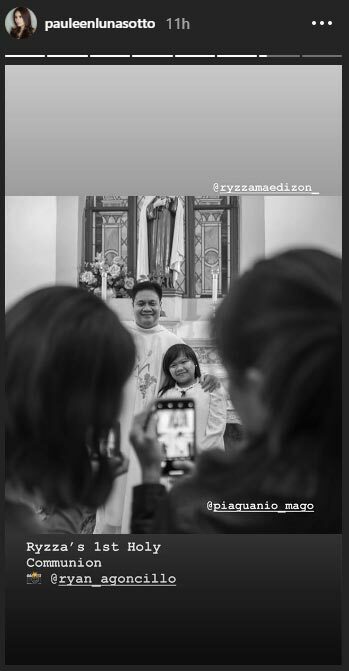 Among the show's mainstays who witnessed Ryzza Mae's first communion were Vic Sotto, Pauleen Luna, Ryan Agoncillo, Allan K, Maine Mendoza, Pia Guanio, Wally Bayola, and Luane Dy. Completing their group were the directors and crew team members of the GMA-7 noontime show. The Eat Bulaga! 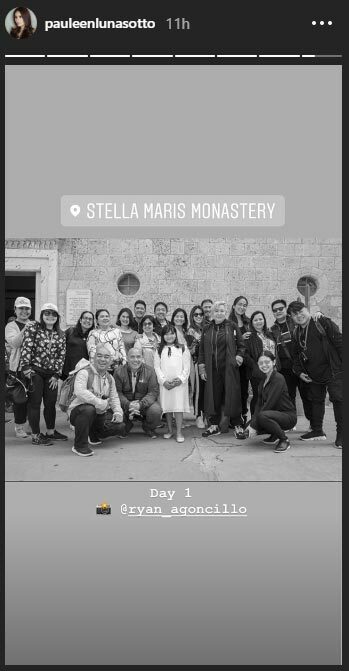 crew arrived in Israel yesterday, March 13, Manila time. One of the first places they visited was the Aquaduct of Caesarea, a structure first built during the time of King Herod, the King of Judea, a Jewish state that existed as a vassal of Rome.